Elaine Yau, Mellon Postdoctoral Curatorial Fellow, Berkeley Art Museum/Pacific Film Archive, will present a School of Art Lecture titled “Sister Gertrude Morgan’s Visual Vocality: Tradition, Innovation, and the Hearing the Artist-Outlier” at the LSU College of Art & Design at 5 p.m. on Thursday, August 23, 2018, in the LSU Design Building Auditorium (room 103). 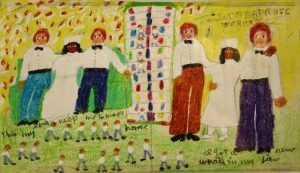 During the 1970s, the New Orleans-based evangelical missionary Sister Gertrude Morgan (1900-1980) produced drawings and paintings that many have recognized as “tools of her ministry.” While the content of her visual art had clear links to African American Holiness-Pentecostal preaching traditions, the media of drawing and painting had few precedents within her New Orleans’ church. This talk argues that Morgan’s visual art was innovative as well as traditional, emerging at the convergence of her divine calling with the cultural marketplace of the street and music festival. It further ruminates on the recent re-framing of “self-taught” and “outsider” artists as “outliers” and the degree to which this new paradigm opens can forge more inclusive kinds of art history. 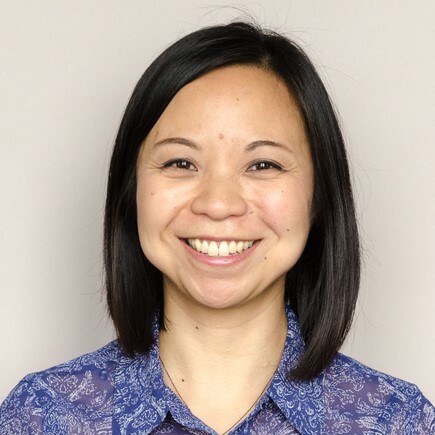 Elaine Y. Yau is currently completing her dissertation entitled, “Acts of Conversion: Sister Gertrude Morgan and the Sensation of Black Folk Art, 1960-1983.” Additional research interests include African American art criticism, sensory cultures of religion, and theories of the vernacular. She also serves as an editor for Cultural Analysis, an interdisciplinary, peer-reviewed journal dedicated to investigating popular and expressive culture.